Are you searching for a dependable heating, plumbing, and air conditioning company in Little Falls, NJ? If yes, consider calling the experts at Rite Rate! We offer a range of services including air conditioning, plumbing, and heating repairs, replacements, installations, as well as maintenance. A malfunctioning furnace or boiler can be a nightmare during winter months when you are battling the cold. However, with our top rated heating company in Little Falls, NJ, you don’t need to worry about such issues. Whether the coils of the heater are broken or the furnace is working inefficiently, our technicians will fix these problems and allow you to enjoy the much-needed warmth. If your residential or commercial heater keeps failing after each repair, then it’s time to call Rite Rate! We will diagnose your heating system and replace it if necessary. Need a new heater? Rite Rate can install any make and model of boilers and furnaces. Call us if you need heating repair in Little Falls, NJ or if you need a new heater installation! Having a damaged AC unit can take a toll on any person, and this is more so during summer months. The good news is you can get rid of the problem by hiring the expertise of Rite Rate. We are a reliable air conditioning company in Little Falls, NJ. At Rite Rate, we have skilled technicians who can fix malfunctioning AC compressors, damaged condensers, as well as jammed coils of the unit. If you want to replace or install a new air conditioner, we are available to do the job. We also offer inspection and maintenance services that should increase the working efficiency of your air conditioning system. A clogged toilet can put a wrench in your day. The same goes for leaking faucets and broken pipes. Fortunately, Rite Rate is a licensed plumber that can handle every plumbing repair, installation, and replacement. We can service sump pumps, hot water heaters, and offer sewer and drain cleaning, flood assistance, and water damage restoration to name a few. We offer comprehensive services on plumbing, cooling, and heating repair in Little Falls, NJ. 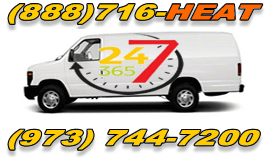 Rite Rate provides 24/7 emergency services so you can contact us anytime day or night. Call Rite Rate today!